The increasing trend of environmental temperature at high altitudes is resulting in heat stress in yak during warmer months of the year. This, in turn, is affecting the rhythms of physiological responses of the animal. Studies have shown that the average environmental temperature in the region has increased 1.5 per cent in the past 25 years, with yearly incremental increase of 0.06 degree. Yak is accustomed to very cold temperatures and can survive up to -40 degrees but finds is difficult when the temperature crosses 13 degrees. “Yak can efficiently conserve its body heat during cold weather conditions and has minimal body mechanism to dissipate heat by way of sweating. This makes yak more susceptible to heat stress,” explained Vijay Paul, principal scientist at the ICAR-National Research Centre on Yak (NRCY), Dirang, while addressing a media workshop on climate adaptation here. Climatic variables such as rainfall, cold waves and temperature change have been studied for the two yak rearing districts of Arunachal Pradesh–Tawang and West Kameng. Since past meteorological data is lacking in this region, researchers from NRCY have collated information from Brokpa namads who are engaged in yak husbandry in Arunachal Pradesh. Two other prominent nomadic communities engaged in yak rearing are Changpas and Dokpas in Ladakh, Sikkim and Himachal Pradesh. 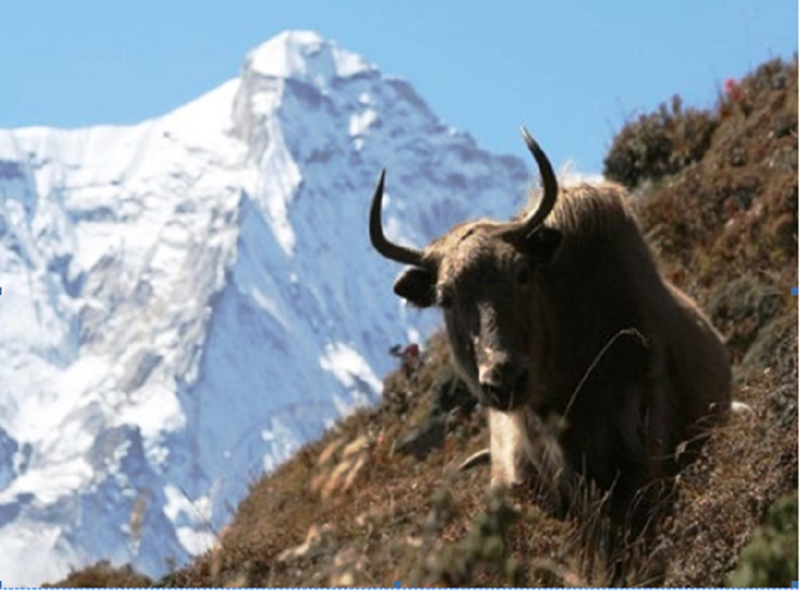 The total yak population in six states in the Indian Himalayan region is estimated to be over 76,000. Globally, China – mainly Tibet region – has the highest numbers of yak. “Yak rearing is an eco-friendly livelihood for nomads who migrate to higher altitudes during summer and return to lower altitudes at about 3,000 meters above sea level during winters. This ensures that their animals remain in almost same ambient temperature all through the year. It helps minimise heat stress. This traditional migratory pattern is getting disturbed with changing weather patterns,” noted Paul. Besides heat stress in animals, fluctuating temperature also affects growth and availability of fodder in alpine pasturelands. This, in turn, lowers productivity of the animals. Yaks provide nomads milk, fibre and meat. Milk production depends directly on the quantity and quality of forage in pasturelands. The long hair of yak has water-resistant properties and can be a good packing material. Nomads use yak hair to weave material for making tents. In addition to climate-related factors, there is a reduction in grazing areas and degradation of pasturelands due to various developmental activities as well. Paul said nomadic communities were taking several adaptive steps as duration and timing of migration was changing. There is proliferation of yak-cattle hybridisation as well as diversification of herds. Yak rearing needs to be preserved as this is the only source of livelihood for nomads. This can be done by rejuvenating degraded pastures, improving livestock healthcare practices and providing feed supplements for yaks. “We also need to develop stains that are less sensitive to heat stress,” he added. Arunachal Pradesh had prepared the state action plan on climate change in 2013. The five year plan period has come to an end but no adaptation projects have been taken up in the state. The plan had components on adaptation measures for agriculture and animal husbandry sectors but there was no specific mention of protecting yak populations. “The plan was approved for Rs 6,500 crore but no funds were received for its implementation,” said Omkar Singh, principal secretary, department of environment and forests, Arunachal Pradesh. “We are in the process of reviewing the state plan based on new inputs such as high resolution vegetation maps which have since become available,” added D Dohu Robin, deputy director (environment) and programme coordinator. The three-day workshop has been jointly organised by the Indian Himalayas Climate Adaptation Programme (IHCAP), Department of Science and Technology (DST) and Centre for Media Studies (CMS), along with the state climate change cell.